My family loves “make your own pizza” night, and this Cinnamon Streusel Dessert Pizza is a perfect treat to round out the meal! When a recipe starts with lots of cinnamon and sugar… you know it’s going to be good! Add in butter, fresh pizza crust and a simple glaze and you’ll have an easy treat that everyone loves! We make pizza at home pretty often, but one thing I always struggle with is rolling out the dough into a reasonably round shape! I usually give up after fighting the dough, and settle on some random “blob” shape! Here’s a photo I shared on Instagram of one of my recent pizzas. 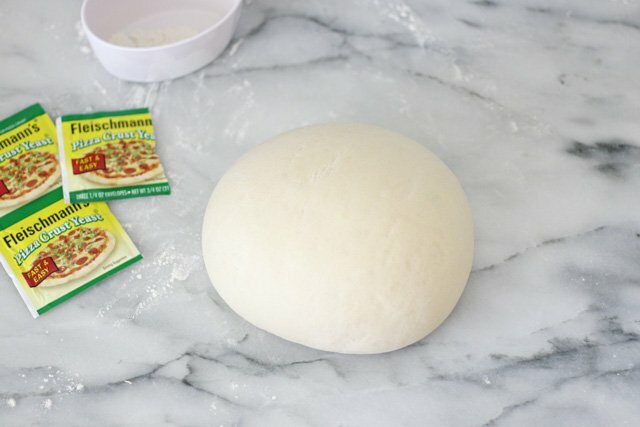 Fleischmann’s brand recently introduced me to a new product, their Pizza Crust Yeast. This yeast is designed just for pizza crust, and is much easier to roll out than traditional pizza dough. I figured it was worth a try! I mixed up the dough according to the package directions. Once the dough is mixed, it’s ready to roll (there is no rise time). I started rolling, and what do you know… it didn’t spring back into a blob, it rolled out beautifully! 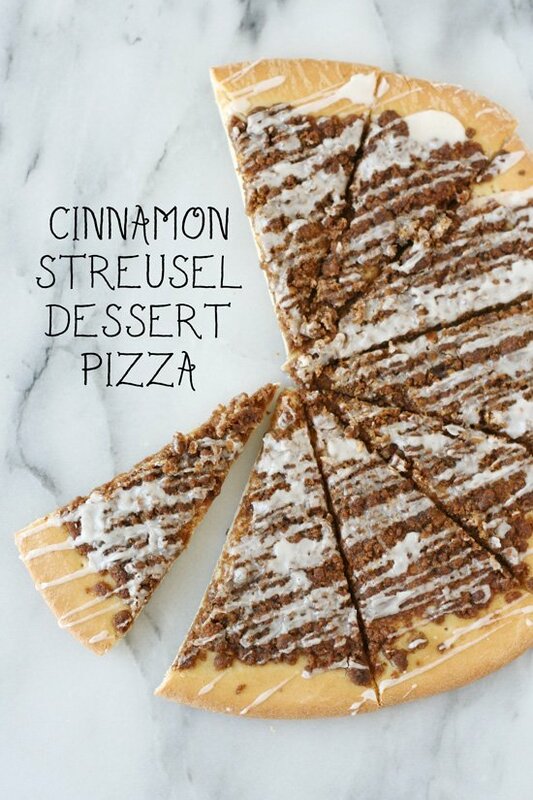 Now I can easily make this delicious Cinnamon Streusel Dessert Pizza anytime I want! Mix up the dough according to package directions (or feel free to use fresh, store-bough dough). Pierce dough with a fork, then lightly brush with melted butter. Spread around cinnamon streusel mixture, then bake. 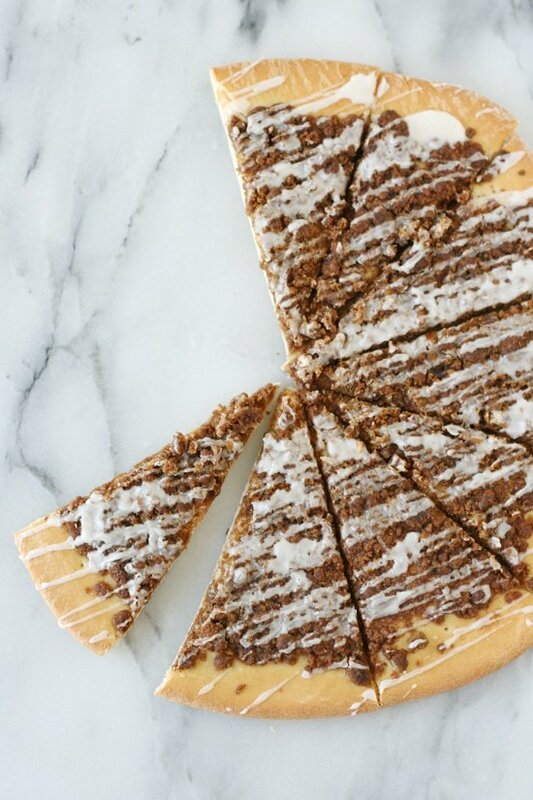 This super simple dessert pizza is a perfect treat for pizza night, or anytime! 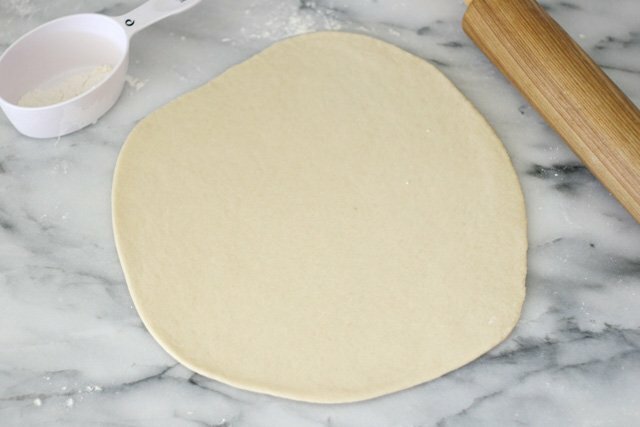 Prepare pizza dough as directed on package, or use fresh store-bought dough. 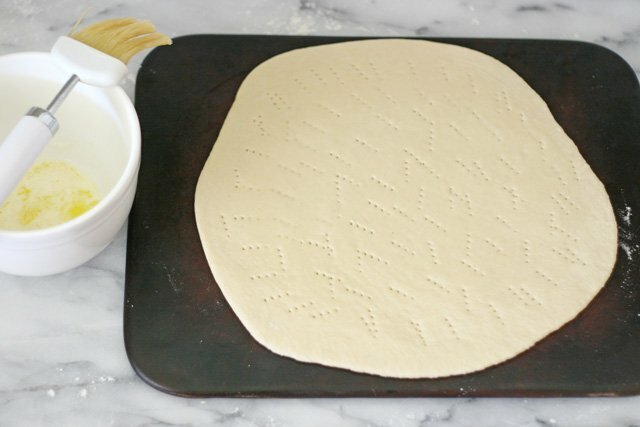 Roll out dough on a lightly floured surface, then transfer to a baking stone, or baking sheet lined with parchment paper. Use a pastry brush to lightly brush some of the melted butter all over the pizza dough. 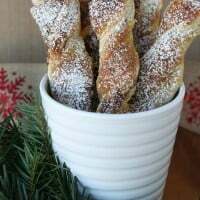 Combined remaining melted butter with cinnamon, sugar and flour and mix with a fork until all the ingredients are moistened, and mixture is crumbly. Spread crumb mixture evenly around the pizza, leaving an edge of crust. Bake pizza in a preheated 425*F oven for 12-15 minutes, or according to pizza dough instructions. Once baked, combine glaze ingredients and drizzle glaze over pizza. Serve while still a bit warm. It’s amazing how delicious simple ingredients can be! 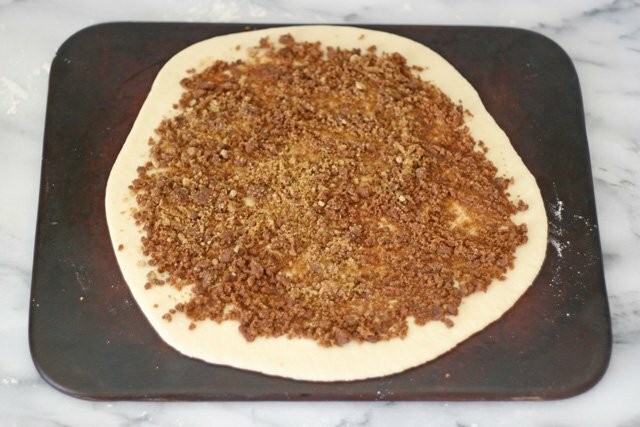 Give this Cinnamon Streusel Pizza a try the next time you make pizza at home! Disclosure – I was provided product and/or compensation from Fleischmann’s for creating this post. I only share products and brands I use and love. All images, text and opinions are my own. I should try to make my own desert pizza, this one looks so good! WOW! That is the coolest dessert idea ever! Yum! This is such a neat idea!! Love this! What a great idea for a pizza treat! Oh! Yum! This looks delicious! I’m definitely going to have to try this one! 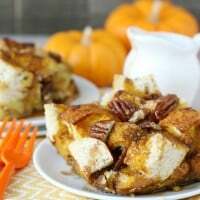 This looks absolutely delicious..I can almost smell the cinnamon! Thank you for the great idea. Lots of homemade pizza nights? Where do I sign up?? I’m going through a huge pizza obsession phase, and having two — one savory for dinner, one sweet for dessert — sounds fabulous! Already pinned! I really want to cook this delicious pastries. Thanks for the detailed recipe! Pizza cool! All very nice and tasty! I’m so intimidated by pizza dough, this yeast is just what I need — I love your dessert version! I would have never thought to use actual pizza crust for a dessert pizza (the ones I always see are cookie crusts). Thanks for the idea! This looks so amazing! I love that this is just a regular pizza crust. I’m not a fan of the sugar cookie versions, but this I could totally love. OOH I’m partial to that Spinach & Artichoke Flatbread variety of the Culinary Circle Pizza. Never heard of the brand before, so I especially appreciate your review of this company’s products! The pizza you tried with the caramelized onions sounds amazing as well. Pingback: 23 Brilliantly Delicious Ways To Eat Pizza For Dessert - Do You Still Hate Me? Just made it and it was delicious! my 3 year old loved it also! I will say that 1 tbs of milk was not enough for the glaze but 2 made it the perfect consistency- yum! I have made this 4 times now and each time it comes out great! I make it gluten-free by using Pamela’s pizza crust mix. So delicious! Thanks for the great recipe! I made this today and I’m sure it’s delicious but are you sure you intend the streusel mixture to be made with melted butter? For me it never turned into streusel crumbs that way and instead turned into just a glaze consistency. 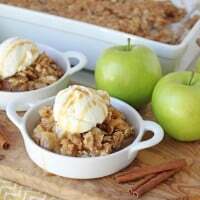 Usually streusel is made by mixing small chunks of cold butter. So glad you gave it a try. Yes, the melted butter is correct, although you could do it with colder butter as well, as you suggested. I prefer to use melted butter simply because the mixture will come together much quicker and with less mess. The mixture should still be crumbly. If it was a more of a thick paste consistency, then you can let it cool just a few minutes (the entire mixture) and then just use a fork to fluff it up a bit and create the texture desired. I love the pizza crust yeast. No store in my town carries it anymore so I have to stock up when we go out of town. I was making crust for our pizza tonight and accidentally put too much water in it so I had to add more flour and wound up with way too much crust. 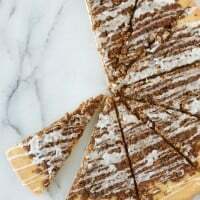 I decided I wanted to try a dessert pizza and found this recipe. 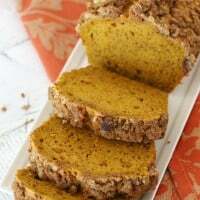 Love this recipe and so did my family. We will definitely be making it again.